Step 1) Using an electric mixer, combine softened cream cheese and sweetened condensed milk. The mixture should be completely smooth. Add lemon juice and blend for 1 minute. 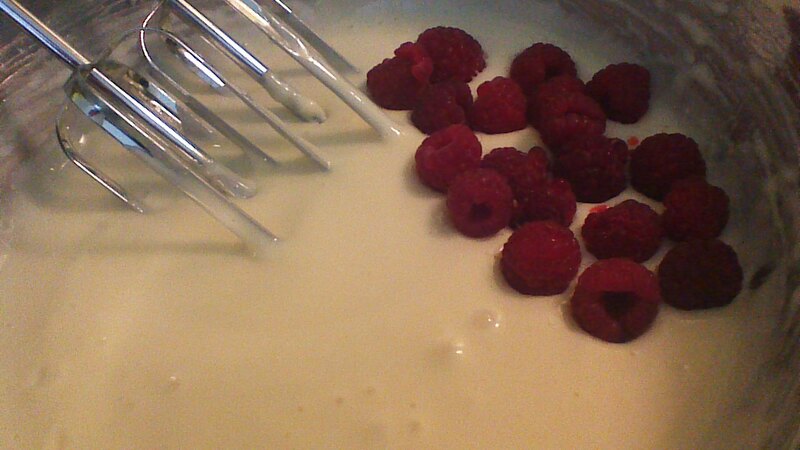 Step 2) Add 1/4 cup raspberries and blend with the electric mixer on low for about 30 seconds. 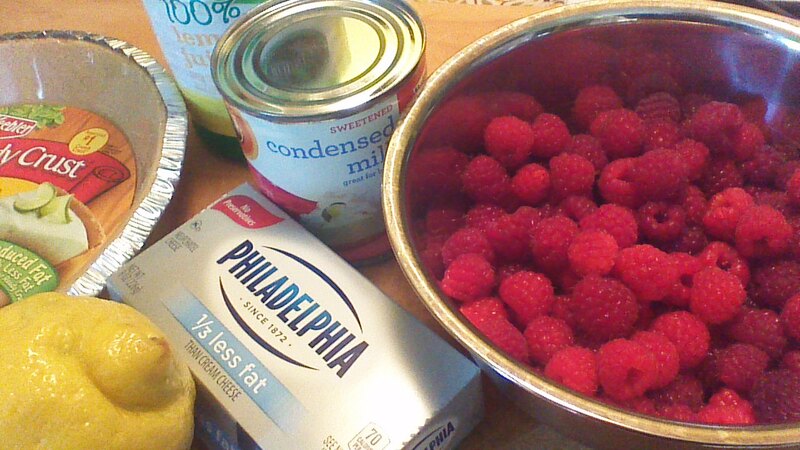 The raspberries will quickly fall apart and combine nicely with the pie filling. Step 3) Pour pie filling into the graham cracker crust. Smooth the top with a rubber scraper. 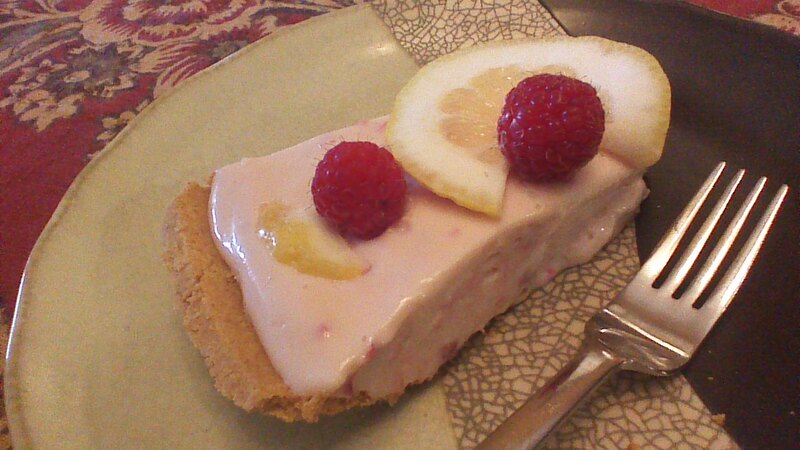 Garnish with whole raspberries and lemon slices. 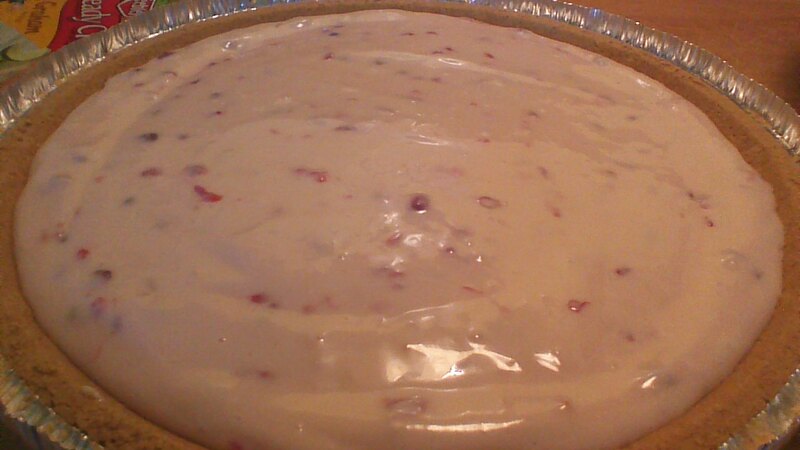 Step 4) Place pie in freezer for several hours until firm. Remove from freezer 15 minutes before slicing and serving. Enjoy! 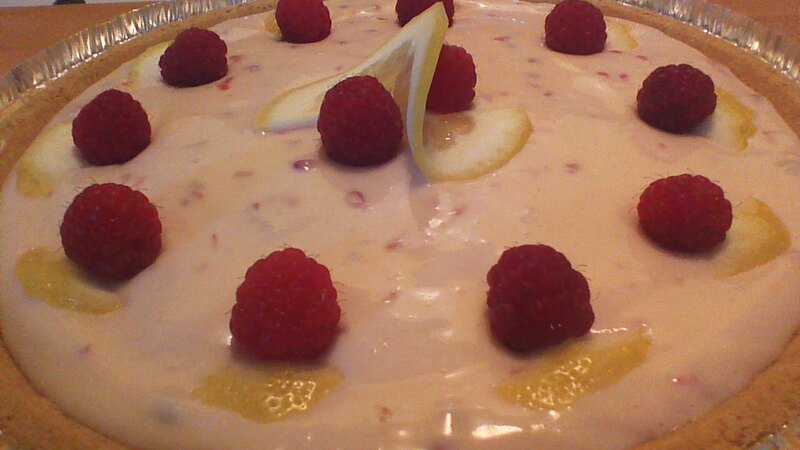 This entry was posted in dessert and tagged baking, Cooking, desserts, Food, Pie, raspberries, Recipes, summer, Vegetarian. Bookmark the permalink. This sounds delicious. I’m going to try it this weekend!